Since I announced the ornament update, I've been doing my best to only work on new ornaments here and there... though, I am losing this battle. I just want to stitch up sweet ornaments all day and night! Alas, I have many, many custom orders to work on, so this isn't possible. 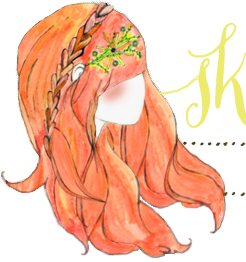 I do, however, have a little peek for you today! I hope you get as excited as I have over them! How cute! 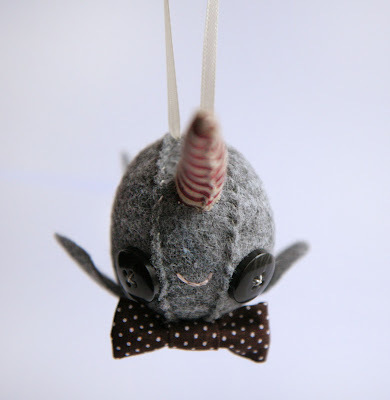 I kind of really want a narwhal ornament! I love them all. Gorgeous!! 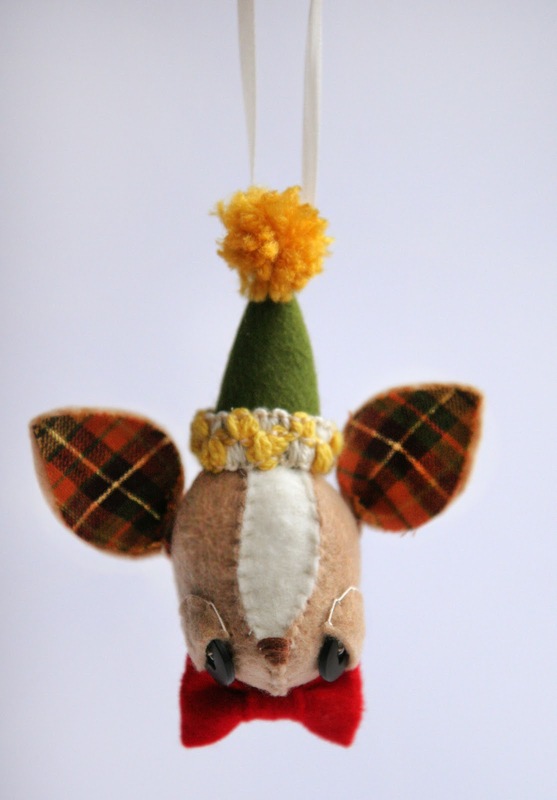 Dear Santa.....that Deer is Divine! These are just the cutest! Well done on creating them. The snail is just so adorable! 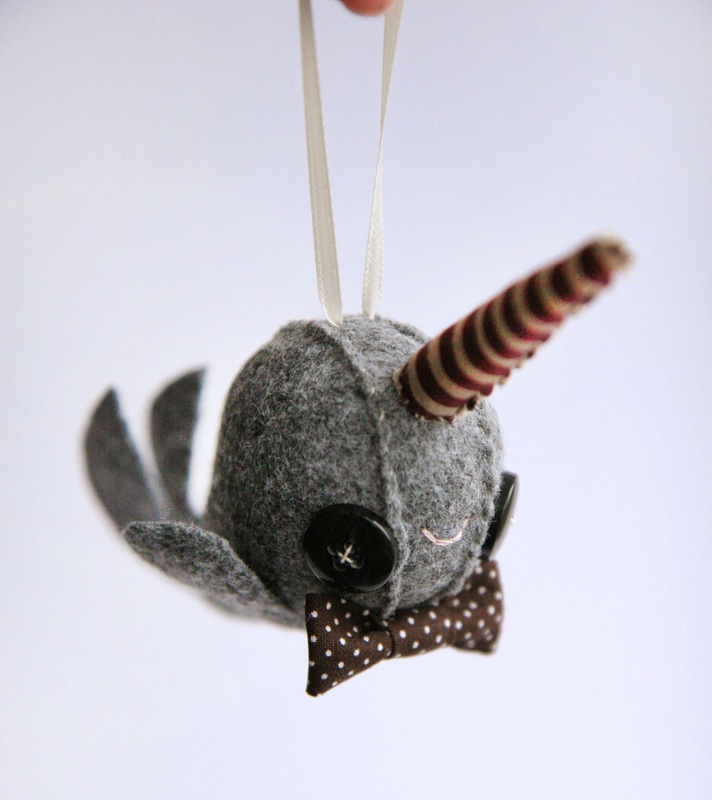 I'd buy a tree just to hang that critter in it. 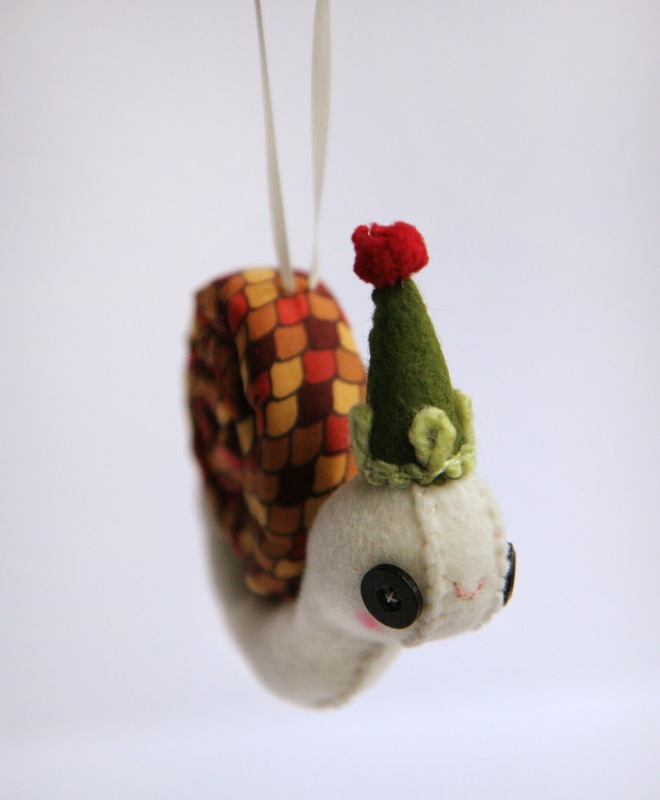 The snail's shell is sooooo adorable! Love them! 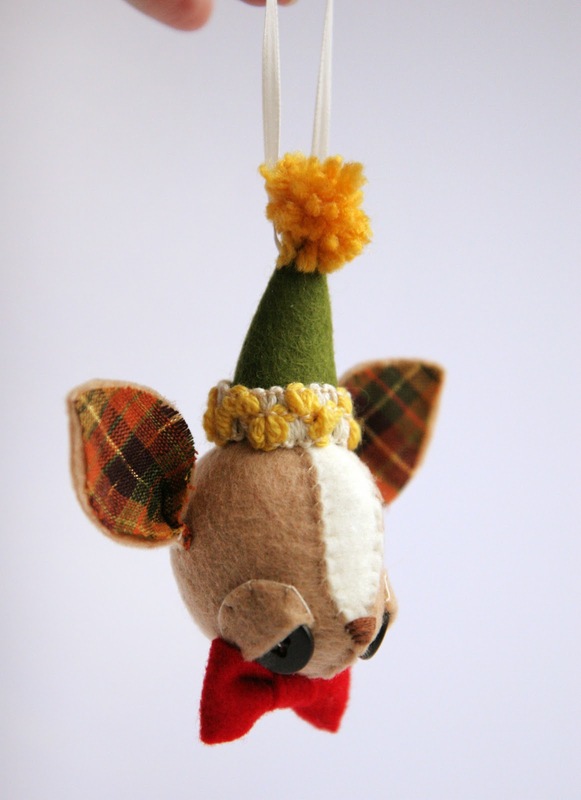 i understand the time consuming ness of the ornaments. They are just so precious. Heart! Love the snail!! So cute! 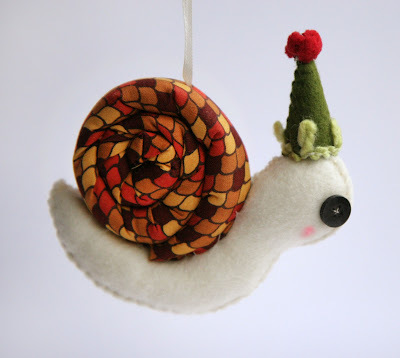 Hey, these are really gorgeous, I'd love these little beauties up on my tree! you have amazing talent Katie!! so adorable!! Wow those are way to cute!! these are the most adorable ever!